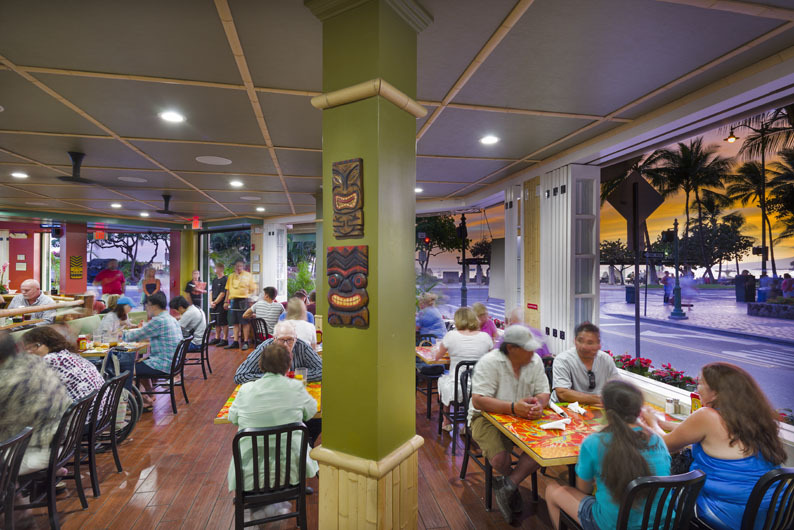 It took about 8 years of constant searching to find a Waikiki location that would rival the best location on the planet—Cheeseburger In Paradise, Lahaina. 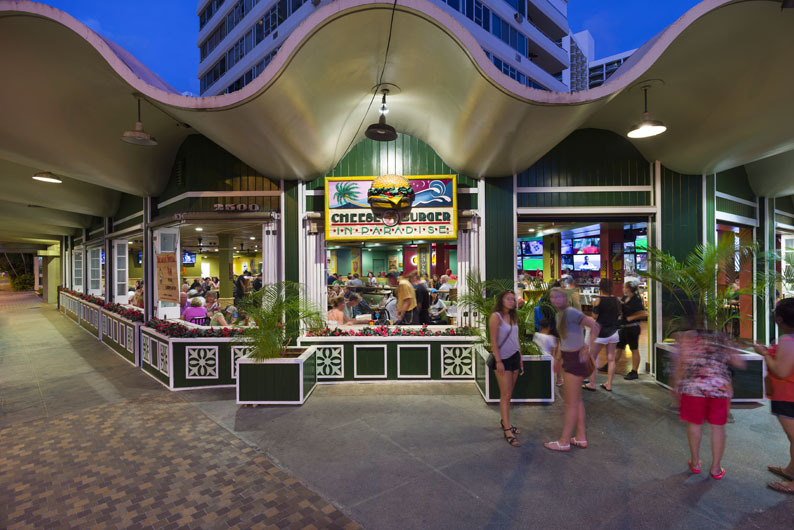 Located on Kalakaua—the Rodeo Drive of Waikiki—Cheeseburger In Paradise, Waikiki began serving Aloha in 1997. 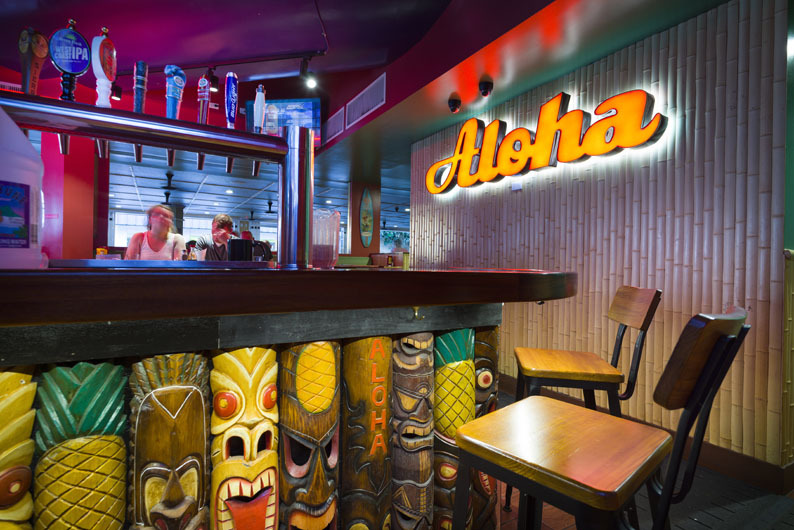 Following in the footsteps of Lahaina, Waikiki serves up fantastic food, great value, amazing Aloha service and sensational unobstructed ocean views complete with magical sunsets. Pull up a chair and enjoy a meal with us. 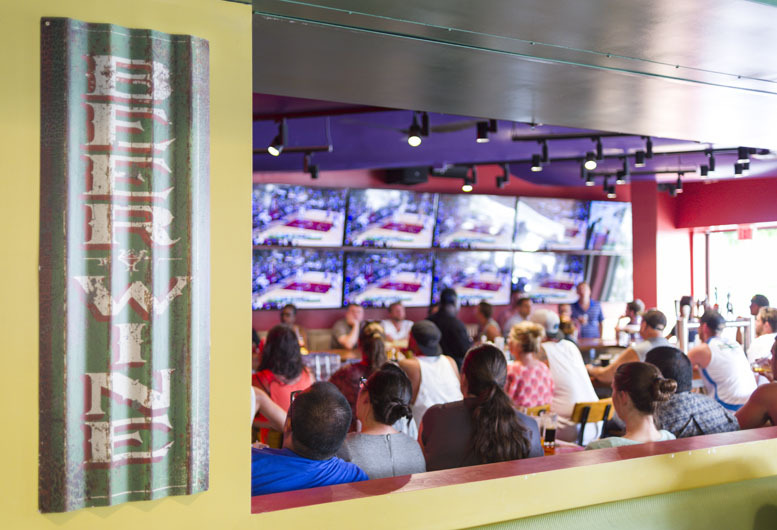 Or grab a seat at the recently renovated Tiki Bar and watch a game on our wall of televisions. 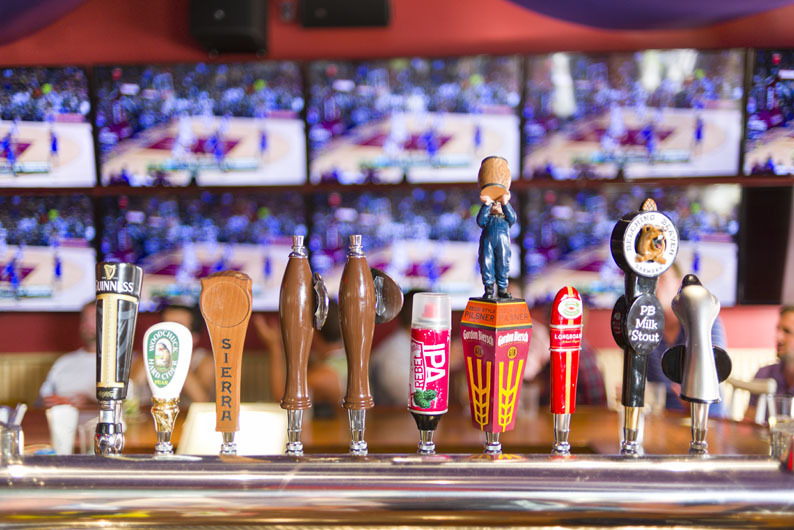 If you’re a sports fan, this is the place to be. We are open for breakfast, lunch and dinner all year round. Check out our $7.99 breakfast special daily 7 am – 11 am plus $6.00 mimosas and bloody marys in the morning during breakfast hours. 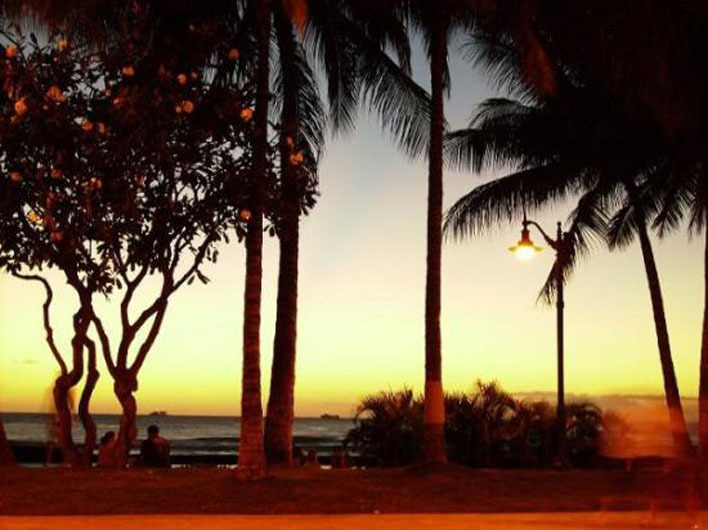 Thank you all for sharing your Cheeseburger In Paradise, Waikiki experience and see you again soon. Aloha! Great burgers! We had fun here! Great location across from the beach, very big menu with as many burgers with every topping you could think of. Big burgers with huge sides and drinks. Staff were amazing and helpful. The highlight of our visit was the food challenge that was taking place as we ate. One of the waiters announced that two guys were taking on the huge burger and had 20 minutes to complete, it was the most fun ive had during lunch in a long time. Would highly recommend, we loved it. Satisfy your cheeseburger addiction. If you want to taste the best burger ever in your life, then eat one at the Cheeseburger in Paradise! During our 10 day stay in Waikiki, we sampled a variety of eateries for lunches every day, and I must say, ordering a cheeseburger to satisfy your personal preferences is quite the treat! I got the one with the grilled pineapple, and it was to die for! I also loved the table decor featuring oversized hibiscus and ukuleles, and their own brand of Cheeseburger in Paradise ketchup bottles! The waitress also offered us t-shirts the size of hockey pucks before we left, which were easy for packing to take back home. Good place. Superb location, casual interior. Very close to the beach with lots of open windows – try getting a seat by one of them. you’ll have the opportunity to appreciate the views. The food is tasty, the prices are reasonable, service is also OK. Always crowded, you might need to wait for a free table. While on the nearby beach we could often hear sports events being transmitted on the TV. Good value, good food. My husband & I stopped in on our way back from the beach. There was a little bit of a line up for a table & initially we were put off by this as we were starving but I’m glad we waited, it didn’t take long to get a table as the staff as very efficient & the line moved quickly. The wait staff are friendly & polite, when we got our meal it was so good my husband decided he wants to go everyday so we can try everything on the menu which is a big call for him! The cost is very reasonable & we will definitely go back again. Oh & I love the story of the 2 women that started the restaurant. Good on them for having the courage to follow their hearts. Burger Heaven. 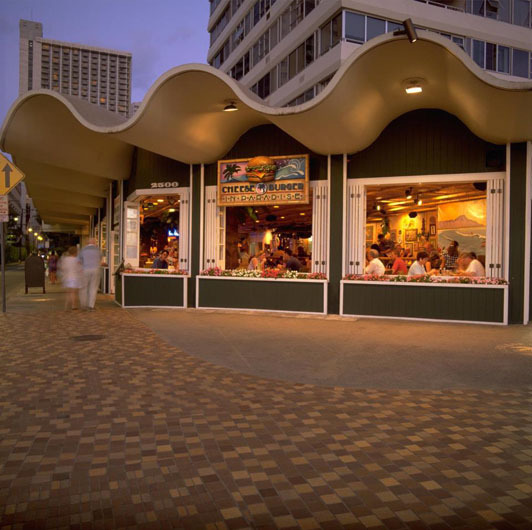 Right on Waikiki strip and usually packed from breakfast thru dinner. 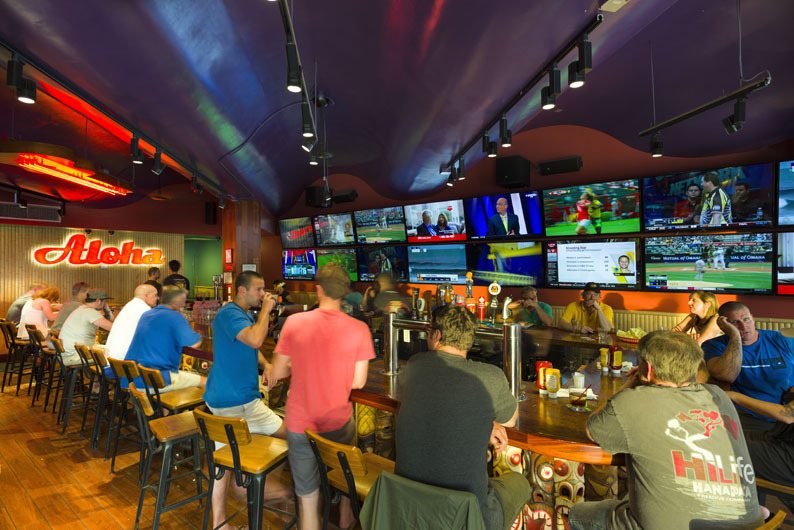 Moderately priced and very informal, not to mention delicious food – and beer. Service was excellent. My husband and I have eaten here twice on our five day trip. It’s open late and walking distance from our hotel. The first night we had a piña cola and a sun burn (trademark drink) and both were delicious! We also ordered a burger (can be turkey or Kobe beef) and the buns can be gluten free (mine was) and the loco moco. Both were tasty! The second night we got the cobb salad and the ahi sandwich which are also good. Nothing fancy and nothing special. Service was slower the first night but very quick the second round. Both times excellent wait staff service.